Whoever said Japanese Role Playing Games are a dying genre, well they were wrong. You just have to look at this Summer’s confirmed release schedule to prove it. That being said, beware and prepare your wallets, as Summer is coming and it’s not going to be kind on them. While regular people are frolicking in the sun, we will be glued to our many screens, as this Summer seems to be the biggest yet for our beloved genre. Over the past couple weeks multiple game companies have revealed launch dates for several large and medium sized JRPGs, and they’re not slowing down anytime soon - Atlus lookin’ at you. Here I’ll be listing every game that has a Summer North American release confirmed, which I define as May to August. This is certainly the Summer of JRPGs. The Fifth entry in Tri-Ace’s beloved franchise will be releasing this June and it’s been a long time coming. Following fans’ disappointment in Star Ocean IV and the less than amazing sales of the chronically underplayed Resonance of Fate, Tri-Ace seemed to pull back from the home console market. Over time it looked as if it was sucked in by the siren song of Mobile gaming profit. Then with its acquisition by mobile gaming titan Nepro Japan, all hope seemed dead of new entries in its franchises. Over time, with nothing but a forgotten tech demo released to give fans hope, many walked away from the franchise. However over a year ago a teaser popped up and fans were excited, cautious sure, but excited all the same. Their prayers were answered and a new Star Ocean was announced. A little bit of a rumble will be going on in late June. 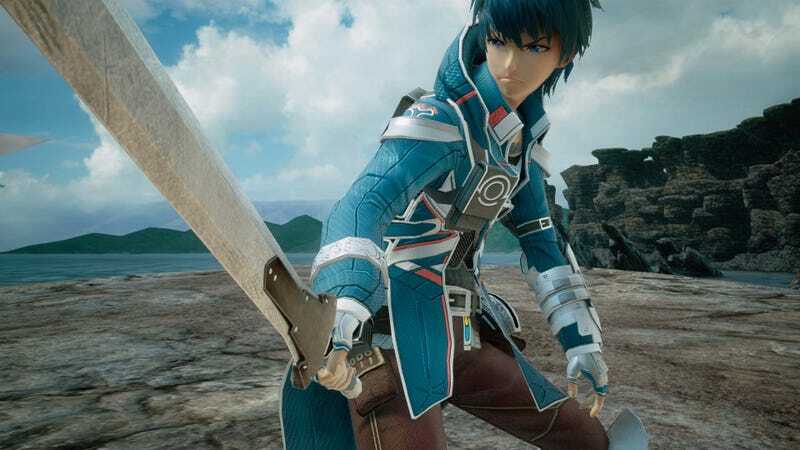 Two days before Star Ocean V releases, comes a little title for the Wii U: Toyko Mirage Sessions #FE, better known as Shin Megami Tensi x Fire Emblem. While I’m a little salty that this game clearly borrows more from the Persona games than the Shin Megami Tensei proper, it’ll no doubt be a boon for Wii U JRPG lovers. Especially as the pickings on the console are so slim these days. Of the three games coming out that week, this is likely to be the also ran for consumers considering what to purchase. Fairy Fencer F (PS3) was a good, if not a revolutionary game from Compile Heart, the guys behind the Neptunia franchise of games. Now while it was a solid outing for the developers unlike the less then stellar Omega Quintet, there was something off... about the whole thing. This is where Advent Dark Force comes into play, Fairy Fencer F was only half a game and this is clearly the full release. Which can of course be off putting to people like myself who have what is little more than a Beta version. You see in the original, there is an entire game mechanic/plot point that never even comes into play, which at the time was strange considering its prominence. Advent Dark Force on the other hand seemingly uses this as the jumping off point for the new content. All around it’s a choice up to gamers if they want to purchase this, however I can say its base game is a solid niche JRPG. Of course if you have a PS4 and have not played the original this is the perfect jumping off point - as Compile Heart clearly sees this IP as franchise material. So I’ll get this out of the way: I am royally pissed this isn’t coming to the Vita in North America. However, the fact a Chrono Trigger inspired JRPG is coming out at all makes me forgive Square somewhat for not taking that risk, which sad as it is to say is a major risk now in 2016. True fans of Shin Megami Tensei REJOICE! Even if Tokyo Mirage Session #FE is more Persona than MegaTen, it doesn’t matter as were finally getting the follow up to 2013 incredible 3DS JRPG Shin Megami Tensei IV. Again I’m purposefully keeping myself in the dark on this one outside of some of the trailers. Considering though it’s a MegaTen title there really shouldn’t be too many surprises with the game. There will be Order against Chaos, where you have to choose who to back, or you can say “F’ em both I’m way better” and chart your own path. You can likely get pretty chummy with Satan/Lucifer (he’s a nice guy honest!) and go around cutting down various deities, demons, and the like. I don’t think I need to say much more about this game then that. It’s likely you’re a fan of the series or you are not. Really that simple. First current generation Atelier. How it will change the series is an open question, as these games have never really relied on processing power and graphical capabilities that much - their incredible Vita Plus versions are proof of that. For a more laid back experience in a Summer full of epic world/galaxy spanning adventures, this may just be for you. Also as a new beginning but supposed continuation of the Dusk story line, it’d be a good entry point for new fans as well. There really isn’t much to say about this game other than what the picture shows: it is a light hearted JRPG perfect for casual fans. However it can go deep enough to provide a decent challenge for veterans as well.